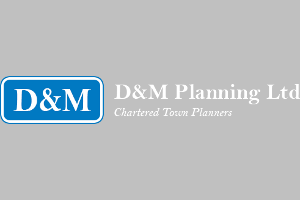 D&M obtain planning permission and Listed Building consent for extensions and alterations to the existing staff and guest accommodation to provide new staff accommodation and additional guest bedrooms at Merry Harriers Public House, Hambledon. The development at the site, which is located within the Metropolitan Green Belt, Surrey Hills Area of Outstanding Natural Beauty, an Area of Great Landscape Value, an Area of High Archaeological Potential, the Hambledon Conservation Area and within the curtilage of 16th Century Grade II Listed Building, sought additional rooms to be added to the existing building and thus representing an increase in floor area of around 267%. 'The proposal represents a modest and in-keeping extension to the existing former stables building. The proposed development is of a scale and design which would not give rise to the special landscape characteristics of the area or to the character, appearance and setting of the Grade II Listed English pub or the wider Conservation Area. Indeed, the proposal, as part of the applicant’s wider vision for the pub, would represent an improvement to the said landscape, Listed Building and Conservation Area. In 2016, there were some 29 public houses closing every week. The new guest accommodation is vital for the public house to be viable. Without being able to provide good quality guest accommodation, the pub cannot survive in its current business model, relying upon food and drink alone.